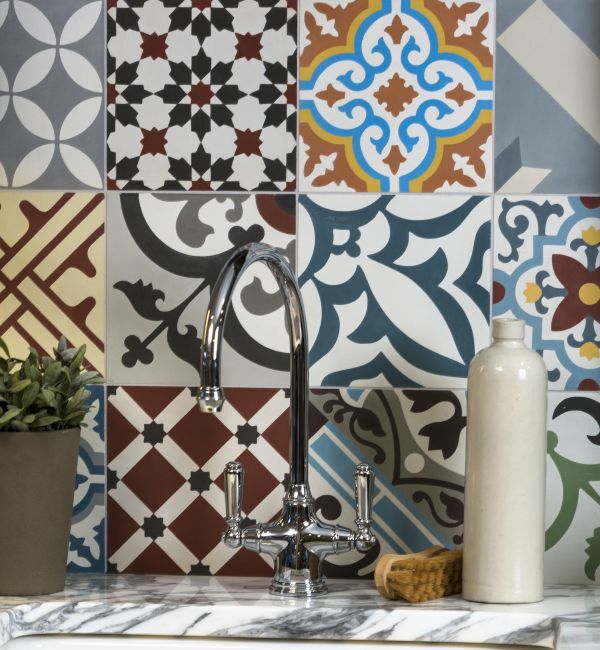 Patchwork multicolour patterns are made up with a pre-mixed, totally random collection of tiles that when laid create the most amazing feature floor or wall. 25 tiles per m² Price Per Tile. Please note: Each tile is 20 x 20cm and is supplied pre-mixed, totally random.